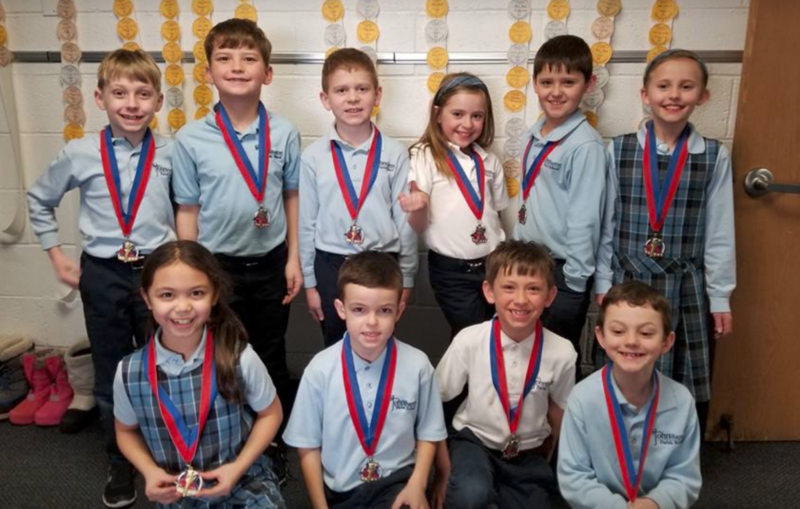 The mission of St. John the Baptist Media Center is to cultivate a friendly and helpful environment that provides resources and opportunities that foster effective ideas and lifelong learning skills for students and staff. Shawna Moore is the media specialist at St. John the Baptist. She earned her child psychology degree from the University of Minnesota and, from there, decided to go straight into the Master’s of Education program. Upon earning her Master’s of Education, she taught special education for over 10 years. She then decided to stay home to raise her three kids: Howie, Oliver and Lila. When the media specialist position became available at SJB, she immediately knew it was a perfect fit. In her free time, she enjoys reading, walking the dog with her husband, hanging out with friends, watching her kids play the sports they love, and traveling. As the media specialist position has evolved in the digital age, she is finding new ways to encourage others to read. Through this position, she instructs students on how to be respectable digital citizens, as well as how to research and correctly cite papers. She is available in the building on Mondays, Tuesdays and Thursdays and can answer email/voicemails on those days if you have questions. View the St. John’s libary catalog online with BookSystems.